Does the world need another recipe for a lemony cake? I suppose not. But is this one worth sharing? Yes. I think all cake is worth sharing! 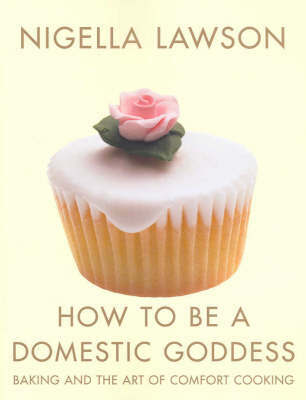 I’ve been baking quite a lot from Nigella Lawson’s How To Be A Domestic Goddess over the past two months. It’s a book I’ve owned for over 2 years, but it’s only now getting some quality time in the kitchen. I’ve made a few of her recipes before- cherry-almond loaf cake, store-cupboard chocolate orange cake, Victoria sponge cake, and some others, with pretty good results. The thing with me is, I try new recipes often enough, but when it comes to baking something for a potluck or dinner party, I always end up baking the same few recipes over and over again. 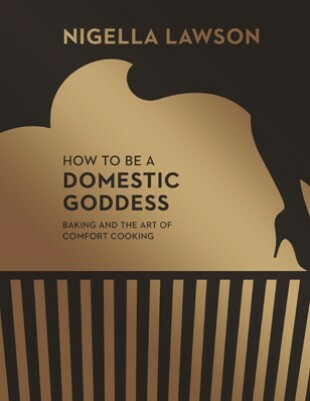 There’s Nigella’s chocolate olive oil cake, a simple vanilla sponge cake, or a lemony loaf cake. I get nervous about busting out something new that I’ve never baked before. I am also hit with a slight sense of anxiety: invariably, there will be someone in the party who detests a particular flavour; and it is near impossible to please everyone. When I bake, I pretty much choose between two broad categories: is it going to be a chocolatey cake, or a fruity one? (This could be anything from a citrusy oil-based cake to banana bread or a strawberry/apple cake.) If I decide to make a fruity cake, there will be someone who detests Granny Smith apples, cannot stomach strawberries or hates bananas. And with chocolate- yes, there are plenty of people who really do not like chocolate. Being a chocoholic myself, I used to find it absurd. I couldn’t understand how people could dislike the taste of chocolate, or caramel, or dislike dessert altogether. I’d feel bad if someone passed up dessert, or said, “I don’t eat chocolate, I’ll pass.” Even though they had a perfectly valid reason- I’d still feel a bit let down. They don’t like cake. They don’t want my cake. When cooking and gathering around the table to feed friends and family is your happy place, you have a tendency to be blind to smaller appetites and cautious eaters. And then I looked at my own eating habits. I am not a big meat-eater. If there’s mutton masala, fish curry or fried prawns on table, I’ll eat a small amount. I usually don’t take seconds, and even with biryani, I end up taking a single piece of chicken or meat, while the rest of the party is digging in for more. Being less enthusiastic about non-vegetarian food- this behaviour could very well be perceived as strange by the host/hostess, right? S/he could be thinking: Meenakshi doesn’t like my mutton masala. So when it comes to personal taste, one really can’t judge.Some of us don’t enjoy meat. Some people just really.hate.chocolate. And while my 20-year-old self would have gotten all high-pitchy with a chocolate-hater and argued “How can anyone NOT like chocolate?,” now I’ve learnt to just let it be. Create with love and serve everyone: if they enjoy it and get themselves seconds, wonderful. If they’d rather not indulge, it’s all good. Make allowances. Be accepting of tastes not aligned with your own. This recipe is also about making allowances. It’s a recipe for baby bundts- except I don’t have a bundt pan, baby or XL. I do own a mini donut tray, so I used that instead. So it’s not a baby bundt- but maybe we can pretend it’s a baby ring cake? We had a family potluck last month and I decided to make this instead of my standard chocolate cake or fruity loaf. I figured it would be easy to eat and portion out or carry home. And if someone didn’t like it too much- they’d have to endure only 3-4 bites in total! The way the ingredients are mixed is muffin-like: wet and dry mixed separately, then combined. Considering the amount of yoghurt in the batter, I expected a moister cake, but this one was quite springy. The glaze, of course, helped. All in all it’s a fun and agreeable little cake- not too fancy, not too shy. In a measuring jug or bowl, mix the yoghurt, melted butter, eggs, and lemon zest until combined. In a separate larger bowl, lightly whisk the flour, sugar, baking soda, and salt. Pour the wet ingredients into the dry, folding until everything is combined. Pour the batter into baby bundt moulds (in my case, mini donut moulds!) and bake at 170 C for 25-30 minutes. Once cooled, ice the cakes with the sugary glaze. Sieve the icing sugar into a bowl, and slowly pour in as much lemon juice as you need to make an icing that is thick enough to hold shape but drizzle down the sides. Frankly, I find anything Nigella does a bit much – self indulgent, narcissistic to the point of being tawdry, and way too pretentious. But even, I, a confessed Nigella “disliker” find this recipe yummy and mouth watering. And your doughnutshaped baby bundts look just divine ! Feel like popping one into my mouth. A pity you dont have a picture with the glaze on.